It's no secret that I am a big fan of statement jewelry. I have been since college, and I don't see myself phasing out of it anytime soon! 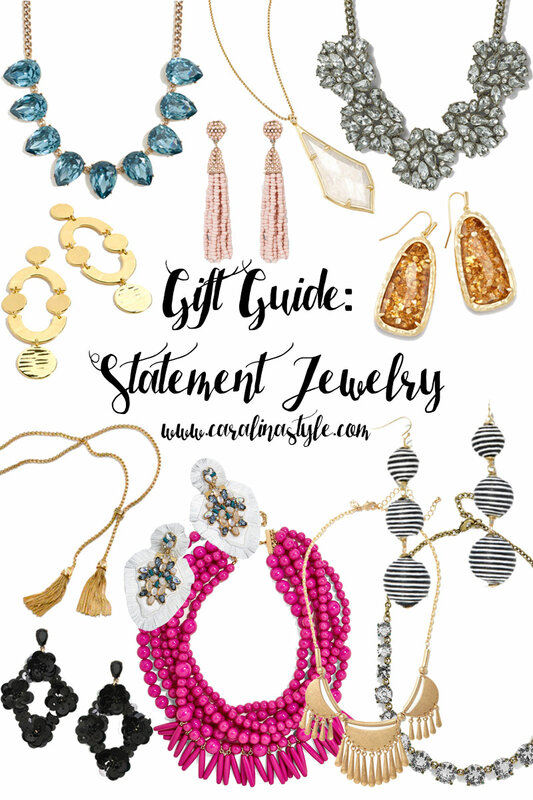 So, I think statement jewelry pieces make great gifts. If you aren't sure if whoever you are buying for has anything to go with some statement pieces, I suggest going for a neutral color. You will be surprised just how many outfits will go with a gold, crystal, or black statement piece! If you haven't noticed from my outfit posts, I have these earrings in multiple colors, they have definitely been a favorite over the last year. I also think this necklace could go with just about any outfit!